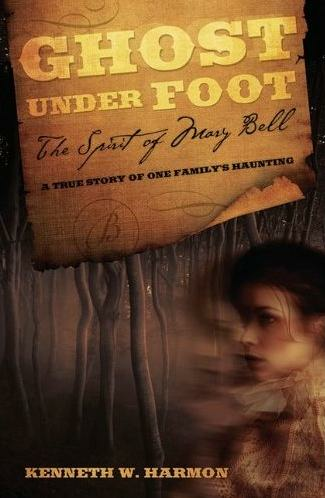 Ghost under Foot: the Spirit of Mary Bell is the incredible true story of one family’s journey into the realm of the paranormal. Readers are taken on an amazing adventure as retired police officer Kenneth W. Harmon struggles to understand why their house is haunted and who may be responsible. With help from the Fort CollinsMuseum staff, and using old records, family histories, newspapers, and maps, he learns their ghost is Mary Bell Wilson, a young woman who died from typhoid fever back in 1886. Mary Bell’s father operated a sheep farm on the land where the Harmon house is now located. When a local couple, Duane and Susan Kniebes, who used dowsing rods to locate unmarked pioneer graves on behalf of the State, visit the Harmon’s house, they find an old gravesite in the backyard. Before leaving, the Kniebes teach Kenneth how to use the dowsing rods to communicate with spirits. Kenneth is now able to talk with Mary Bell. 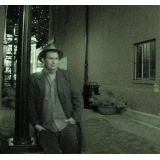 He asks her many questions about death and the spirit world. After learning Mary Bell knew intimate details about his family, Kenneth wondered if she used superconscious telepathy to access this information. Could ghosts call upon the collective wisdom of the human race? To test this, Kenneth asked Mary Bell questions about some of the most famous mysteries, including the JFK assassination, the identity of Jack the Ripper, and the Roswell UFO incident. Ghost under Foot is supported by photographic and video evidence, and is the first book to offer real proof of life beyond death. It is sure to be one of the most talked about books in 2012.